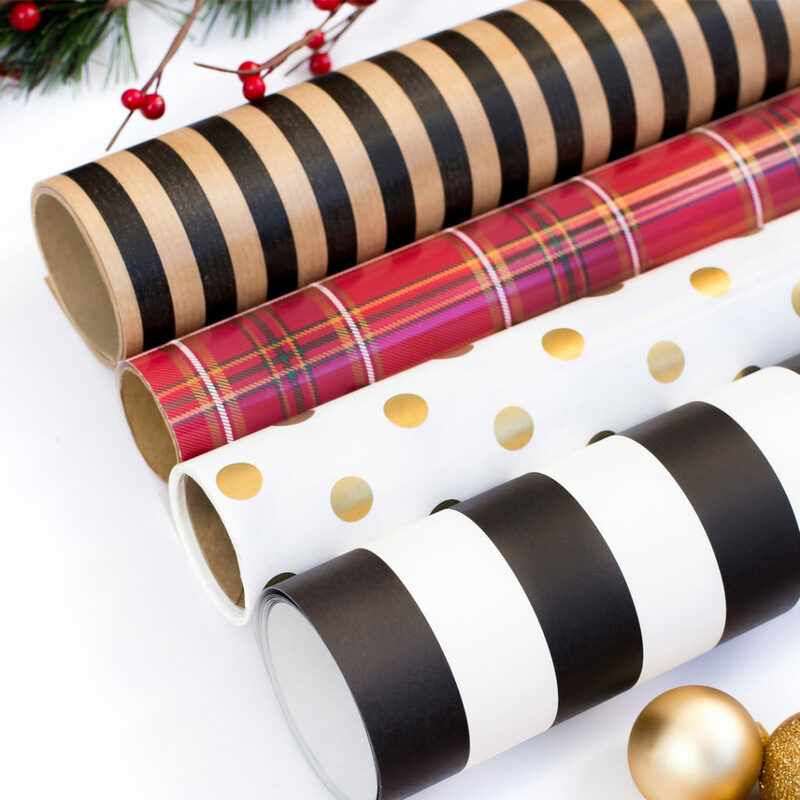 I am always on the hunt for cute, yet simple & easy holiday gift DIYs. There’s something so personal about creating something for someone else. It takes more time, thought & effort than going to the store to buy something. It’s also usually a little easier on the budget. 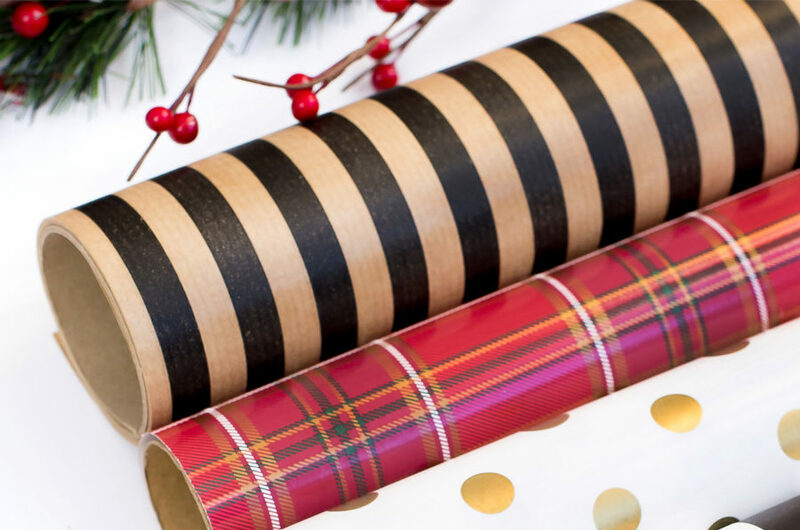 Here are a few of my favorite ideas this holiday season. Christy at Confessions of a Serial DIYer found these amazing frames at an Estate sale for super cheap. 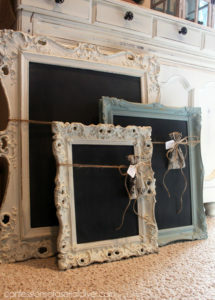 You could do your own thrift store shopping for frames or even redo one you already own. The great thing about them is that a fresh coat of paint covers a multitude of sins. She used hardboard & spray chalkboard paint. 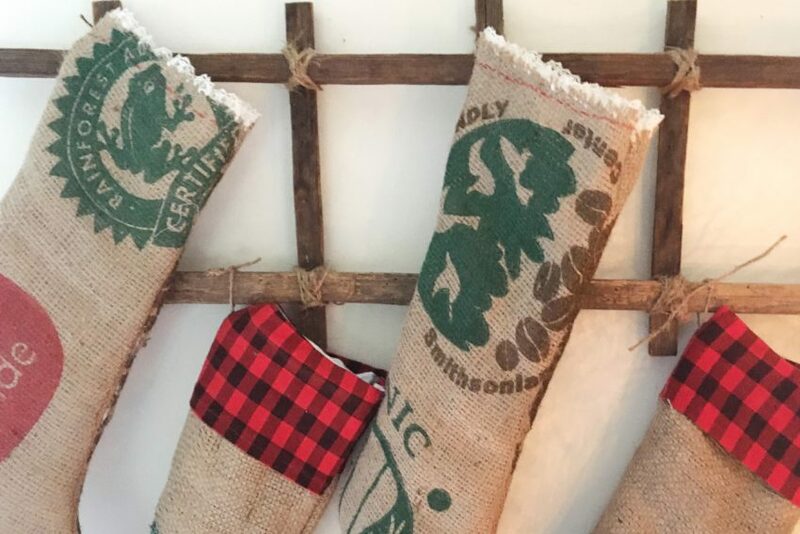 Adding a a few pieces of chalk, tied in some twine, is a lovely finishing touch to the gift. I love these. First of all because I always love a new mug for my daily coffee. And second of all, the possibilities are only limited by your creative mind (or the minds of others). 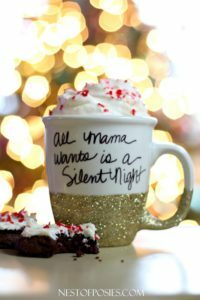 Kellie at Nest of Posies blog gives you the complete & very simple tutorial for her sharpie & glitter mug pictured above. Glitter isn’t your thing? No problem! Find your favorite phrase or design and get to it. You can use the sharpie method, or even grab a paint pen for more color. Not confident in your handwriting? Check out this hand-lettering post our friend Liz did a few months back. I don’t know about you, but I love candles. They are so warm & inviting and instantly give a cozy feel to any space. Candles make a great gift, but they can also get pretty pricey. 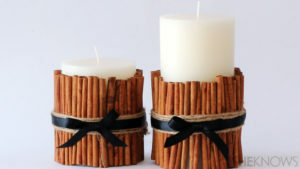 These only require a simple vanilla candle, easily found for cheap at the dollar store or Walmart. Head on over to SheKnows.com for the full tutorial. It’s so easy! 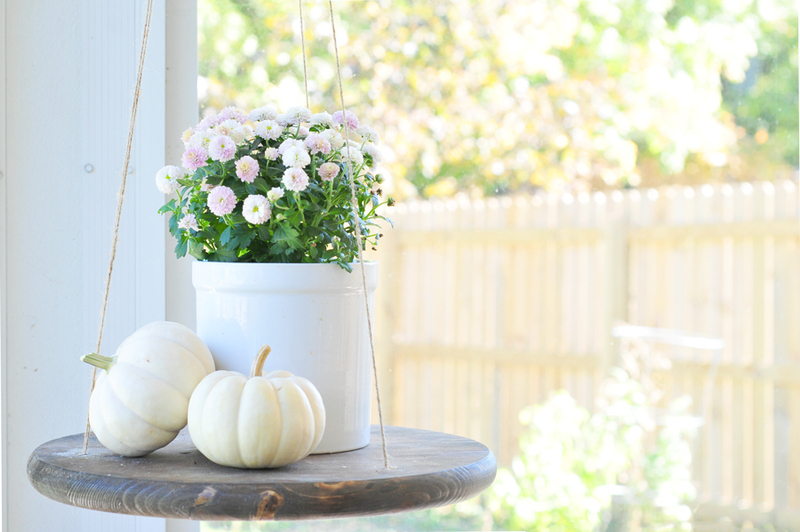 Did you see this tutorial on the blog yesterday? So cute! And so easy to do. Check out Jess’ post for her awesome DIY project that’s as easy on the budget as it is on the eyes. 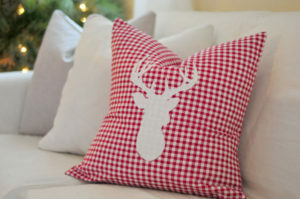 Who wouldn’t love to receive one of these adorable throw pillows this Christmas? And it’s easy to customize with your own design. Every one loves a wood sign. They are so simple to make! Just grab a slab of wood, stain it, use our awesome transfer paper method, & paint. You can literally use any phrase you want. Just find the font, print it out and you’re good to go! No hand lettering required! You can find our wood sign tutorial here. The sign pictured here is part of our craft night, hosted by Daily Offerings Coffee Roastery on December 20th. If you haven’t signed up to join us yet, please do! 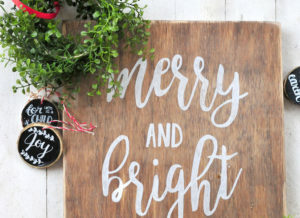 Salt & Life Blog will be supplying everything you need to make a wood sign, miniature boxwood style wreath, and wood slice chalk ornaments. Make sure you register here to reserve your supplies! There are so many more ideas out there, but that’s all for now. I hope you’re able to check at least a few names off your Christmas list. Be sure to share with us your photos of any completed projects. We would love to see how they turn out!